Join us on Friday April 26th at 7:00 for an evening with Peter Heller, best-selling author of The Dog Stars, Celine, and The Painter. 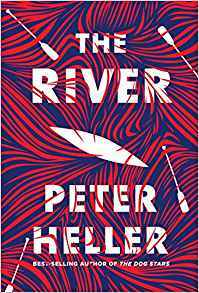 Mr. Heller will be discussing his highly anticipated new novel, The River. which has just been released by Knopf. The presentation will be followed by an author reception. Seating is limited for this special event, and an entry voucher is required for admission. 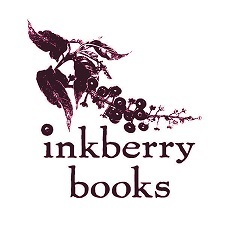 Vouchers are $5 and are good for $5 off the author's featured book or purchase of another book the day of the event. Vouchers can be purchased now at the store, over the phone, or at the door. "A fiery tour de force… [The River] recalls his debut, The Dog Stars, with its poetic, staccato sentences and masterfully crafted prose… The story itself resembles a trip down a river—some parts are peaceful and allow for quiet introspection and big, deep breaths. But then you hit the rapids and the danger and risk jump off the page, forcing a sense of urgency. In those thrilling parts, reading required self-discipline. I wanted to know what happened so badly that I’d read too fast and had to retrace my steps to savor Heller’s storytelling. And what a story he tells… I could not put this book down. It truly was terrifying and unutterably beautiful." "As much an allegory about man’s impact on the Earth as it is an adventure story… Heller’s prose is at its best when he’s describing the natural world. His sometimes short, clipped sentences unfurl into long, lyrical lines, each syllable stretching toward near-poetry as he describes the landscapes. Heller’s melodious renderings are drawn from a lifetime of not just witnessing nature, but of actively paying attention to how it is woven together." 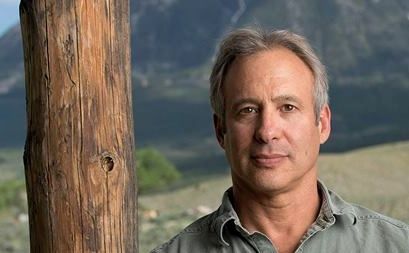 " Peter Heller is a longtime contributor to NPR, and a former contributing editor at Outside Magazine, Men’s Journal, and National Geographic Adventure. He is an award winning adventure writer and the author of four books of literary nonfiction. He lives in Denver. Heller was born and raised in New York. He attended high school in Vermont and Dartmouth College in New Hampshire where he became an outdoorsman and whitewater kayaker. He traveled the world as an expedition kayaker, writing about challenging descents in the Pamirs, the Tien Shan mountains, the Caucuses, Central America and Peru. He was the first man, with a Kiwi paddler named Roy Bailey, to kayak the Muk Su River in the High Pamirs of Tadjikistan. The river was known as the Everest of Rivers in the Soviet Union, and the last team that had attempted it lost five of their eleven men. The run was 17 days of massive whitewater through a canyon inhabited by wolves and snow leopards. Heller’s debut novel, The Dog Stars, was published by Knopf in August, 2012. It was the Apple iBooks Novel of the Year, Hudson Booksellers top fiction pick of the Year, and an Atlantic Monthly and San Francisco Examiner Best Book of the Year. It was critically celebrated and a breakout bestseller, and has been published in eighteen languages. His second novel, The Painter, (Knopf, 2014). Publishers Weekly, in its Starred review, called it “masterful”. It won the Colorado Book Award and the prestigious Reading the West Book Award, shared in the past by western writers such as Cormac McCarthy and Terry Tempest Williams. It was a finalist for the Los Angeles Times Book Prize, a Hudson Books’ top fiction pick of the year, and an Amazon Top Twenty. Celine, a novel, came out from Knopf in March, 2017. Prepublication, it was an Entertainment Weekly top ten most anticipated book of 2017, and a Library Journal editor’s pick.